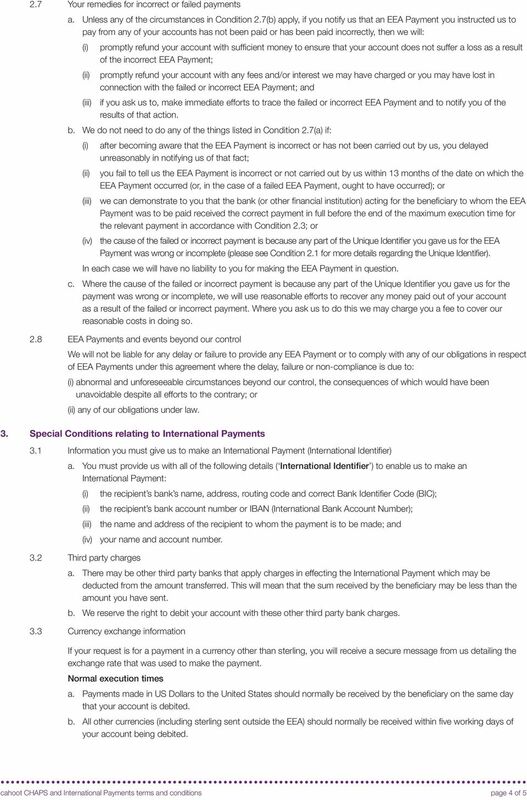 Download "cahoot CHAPS and International Payments terms and conditions"
Bank Account Terms and Conditions 1. 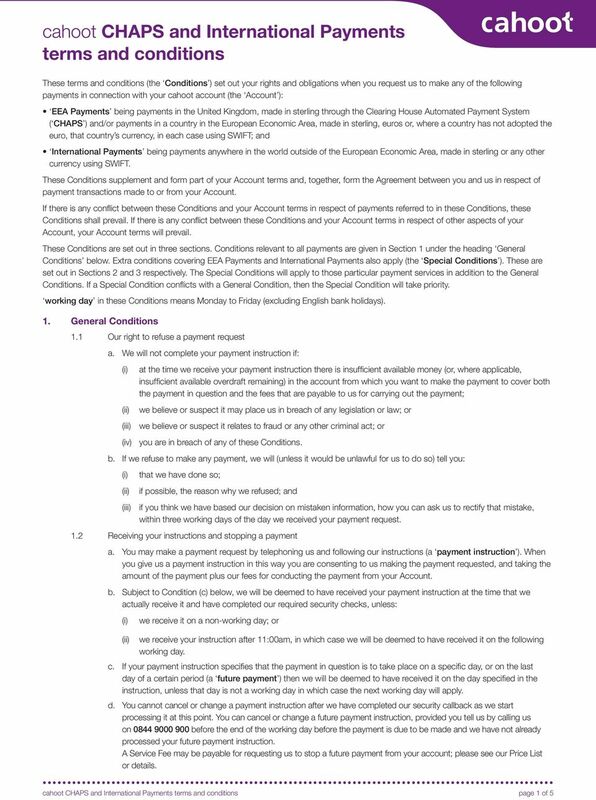 The Purpose of theseterms These terms and conditions will come into force on 1 July 2015 and they set out the basis on which we will provide you with bank account services. General Investment Conditions Gibraltar/Offshore. The important information you need to know about opening and maintaining your account. Savings account conditions and information. Savings account conditions and information. Welcome to Cheltenham & Gloucester. Thank you for choosing a C&G savings account. This booklet contains the conditions that apply to your personal savings account. smile no-notice savings account Terms and conditions no-notice savings account Terms and Conditions Please read and keep your smile no-notice savings terms and conditions (conditions) in a safe place. 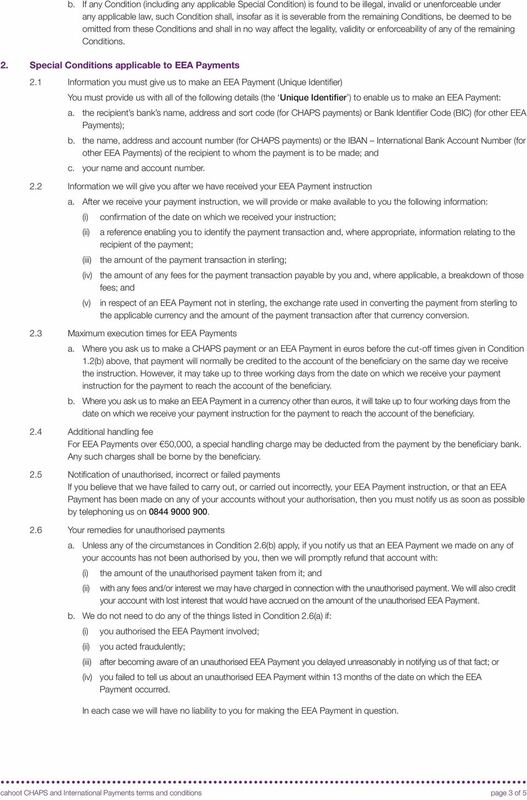 Fixed Rate Bond terms and conditions. 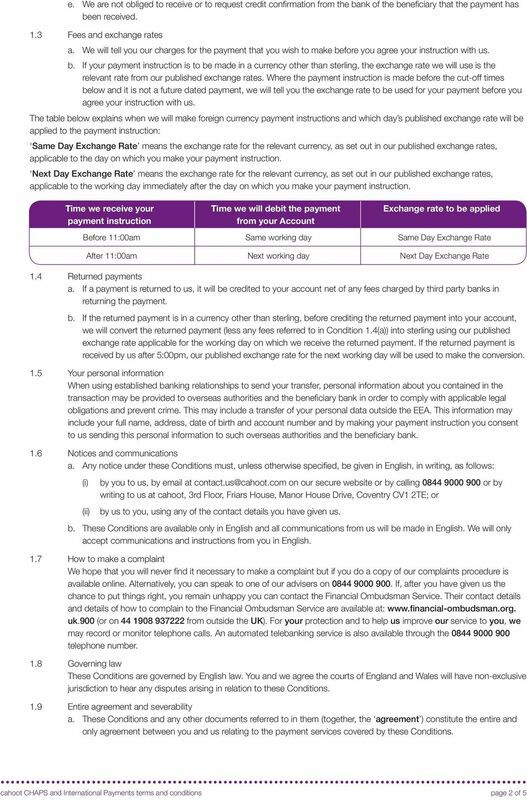 Terms and conditions of The Co-operative Bank Instant Access Savings Account Please read and keep your Co-operative Bank Instant Access Savings Account terms and conditions (conditions) in a safe place. 1. Introduction. The laws of any jurisdiction other than England & Wales Taxes or duties Financial investment. Your Online Account. The important information you need to know about opening and maintaining an account online. 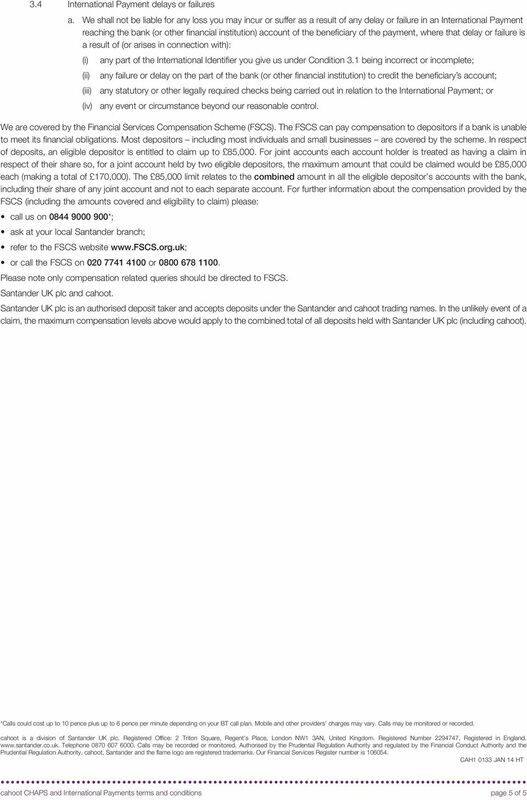 Interest Rates for Savings and Bank Accounts.